Home/Generic/Business/The impact of big data on businesses – Don’t miss the boat! If you’re someone who is of the opinion that big data is not relevant for your company, you’re missing a lot. Experts believe that big data and the effects will have an impact on every business, whether they’re the startup organizations or the bigger Fortune 500 enterprises. Regardless of the field you operate in or the size of your business, as technical analysis, collection of data and interpretation become easily accessible, big data will have an impact on all businesses in different ways. However, it is often said that the impact is limited to the tech industry since information analysis is its main feature. With the increased adoption of technologies which are information-oriented, the impact of big data has surpassed the border of tech industries and gradually has marked itself in every single industry. Let’s take a look at the few impacts of big data on businesses. If you even consider the smallest business, it generates data. When the business has an online presence in the form of a website, has got social media presence, accepts card payments, even a small shop has enough data that it can gather on its customers, the web traffic, user experience and more. This clearly implies that all companies will require a strategy for big data and they also have to plan how they should collect the data and also safeguard it. 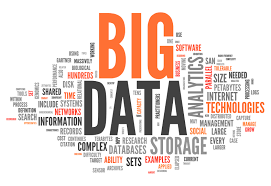 Organizations and business firms which never thought that big data could ever be for them would now be catching up. Whether you believe it or not, the companies with which you operate your business usually know a lot regarding you and the diversity and extent of what they actually know about you is gradually increasing every year. Nowadays with the help of big data every company will get increased insights into what their customers want, what they will use if given to them, which social media channels they would use to buy and such details. Companies, on the other hand, will require being proactive about maintaining and creating the privacy of the policies and the security that is needed to safeguard the user data. From tracking performance of machines to using sensors to tracking performance of employees to optimising delivery routes and even recruiting the best employees, big data always has the potential to enhance internal efficiency and the way in which a business operates along with its different departments. Companies are allowed to use sensors through which they can track shipments and performance of machines. In addition to that, it can even be used to measure what it takes to be a good CEO and it can also enhance the hiring process that is done by the HR. In an ideal world, companies can use the data to improve the services and products and also the experience of the customers using it. The name of a company which uses big data to helps its customer is John Deere and it also takes into account customer information to offer a new product. The tractors of this company are armed with sensors and the owners will get to know how the equipments are used. So, as we keep inviting more and more connected devices to our lives, there is an increased use of data and insights which the companies will again sell back to the customers.